After a very wet spring, the weather seems to have calmed down considerably, so a lot of trails are now free of snow and dry enough for hiking. In Boulder, basically all the trails are open again. Most of the damage from the floods in 2013 is also fixed, so you can go almost anywhere and not worry that the trail will be in bad shape. 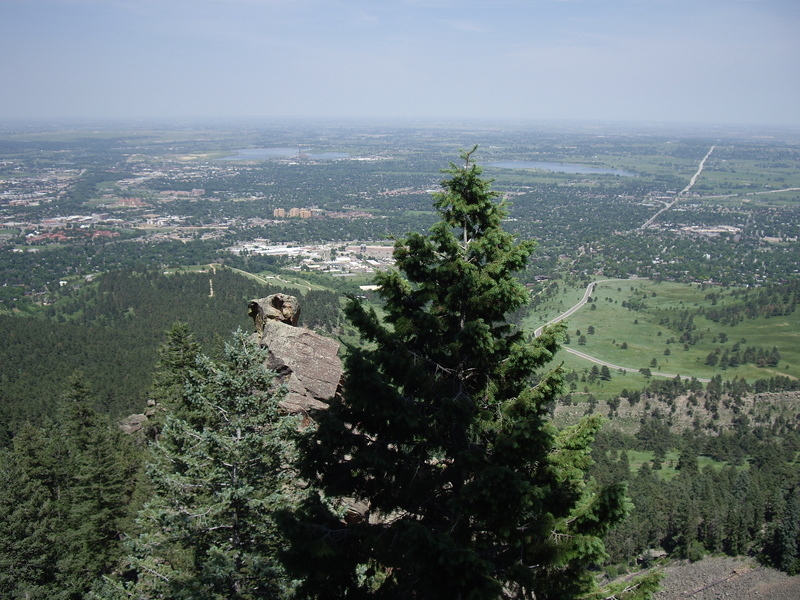 View of South Boulder from one of the trails in Chautauqua Park. 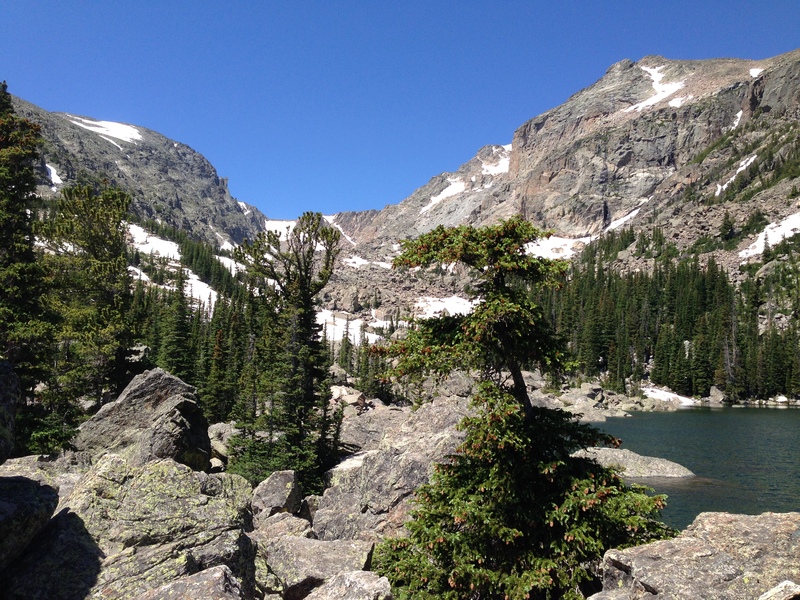 Rocky Mountain National Park is not quite as ready yet since it’s at a much higher altitude. There’s still snow in a lot of the higher trails, and a lot of snow once you get above the treeline. The area around Bear Lake was mostly clear as of about a week ago, but the trails above the trailhead may still be snowy. Lower parts of the park should be almost totally clear. The snow will probably be diminishing quite rapidly over the next few weeks. I would guess that most of the shorter hikes are fine, but long hikes like scaling Longs Peak are probably still extremely dangerous. Hiking is generally very safe, but people do get seriously injured and even die every year, and many of those incidents can probably be avoided. I’ve been pretty busy for the past week or so. 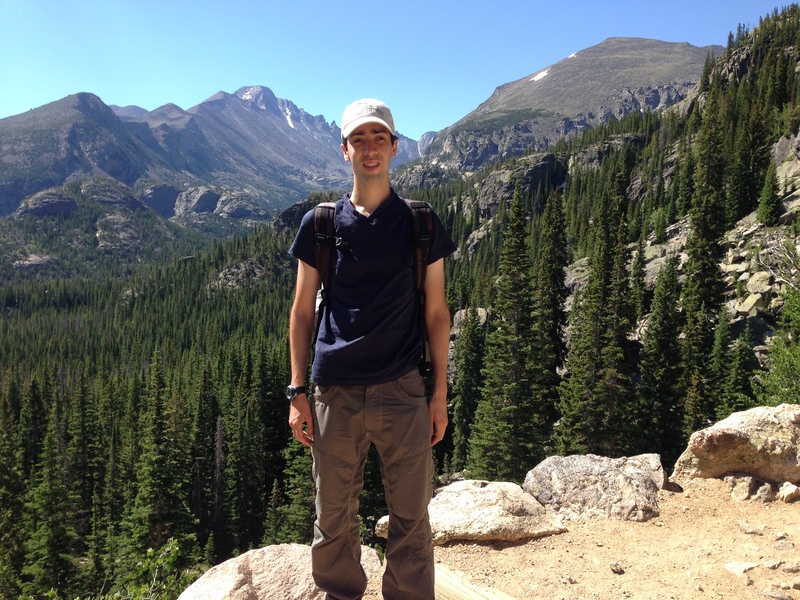 On Thursday, My mom and I took a trip to Estes Park and Rocky Mountain National Park. In front of Longs Peak along the Dream Lake Trail. We went up to the Bear Lake trailhead and hiked to Nymph Lake, Dream Lake, and then on to Lake Haiyaha. The Emerald Lake trail is a much more popular destination from Dream Lake than Lake Haiyaha, but since this is a busy time of year, I though Lake Haiyaha would be a nicer hike. Once we split off from the more popular trails, the crowds thinned out considerably and we were able to go at our own pace and stop to take pictures without being interrupted. We also left the trailhead around 9:45 am, which was early enough to avoid the worst crowds. The weather forecast was iffy, saying that it would be mostly cloudy with a high chance of thunderstorms, but for the whole hike the sky was clear, so it was a great day to be in the park. I haven’t been to very many national parks, so this was a nice day trip. The trails are nicely maintained and offer a wide variety of landscapes. The trails we took were along the sides of mountains and in some canyons. Even though we’re now in the middle of summer, there was still some snow on the trails (the trail starts at over 9000 feet and rises around 750 feet). Lake Haiyaha was hard to find since the signs right near the end were confusing, but once we found it, it had beautiful scenery. Getting to the lake requires scrambling over some boulders so it was a more difficult hike than getting to the other lakes along the trail. I would highly recommend this hike, although it seems like it would get dangerous in the winter. It’s a little over 4 miles rountrip, so it only takes a few hours. There’s some scrambling and a significant amount of elevation gain, so you’ll need to be in decent shape. You also want to be acclimated to higher elevations to avoid altitude sickness. This hike gets up to around 10,250′ (3120 m). Also, note that there have been a couple lightning strikes over the weekend with a number of injuries and two fatalities. While this trail does not go over the treeline, I can’t overemphasize the importance of being careful with the weather in the park. 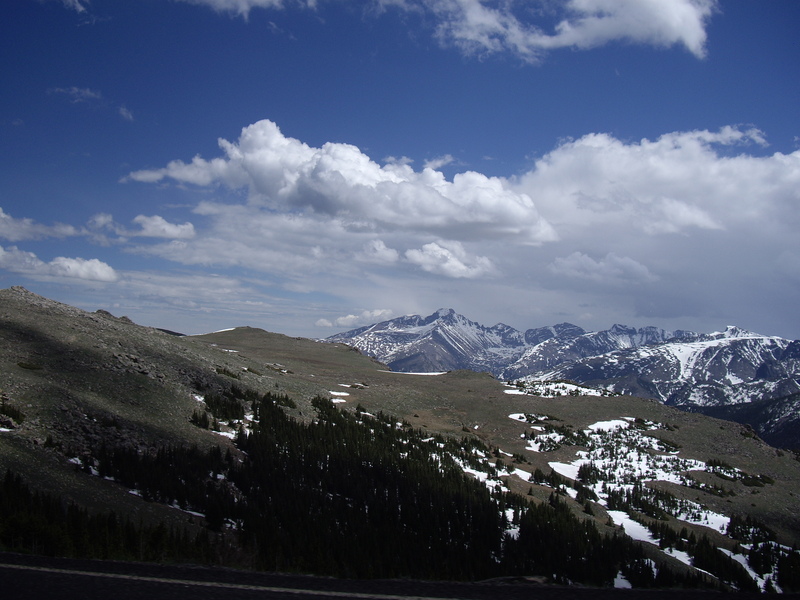 Start hiking in the morning and get back by early afternoon to avoid thunderstorms, and whatever you do do not get caught above the treeline when there’s bad weather.